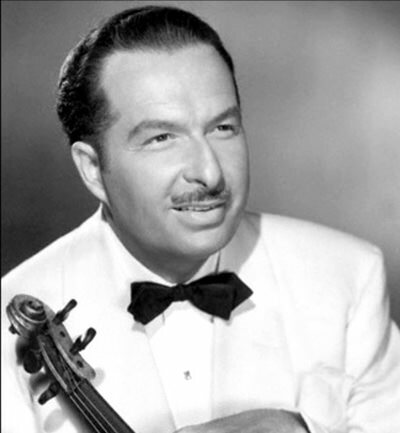 "Guard Sessions with Xavier Cugat"
Just hours after the Twentieth century began, Francisco de Asis Javier Cugat Mingall de Bru y Deulofeo was born in Girona on Spain's Mediterranean coast. 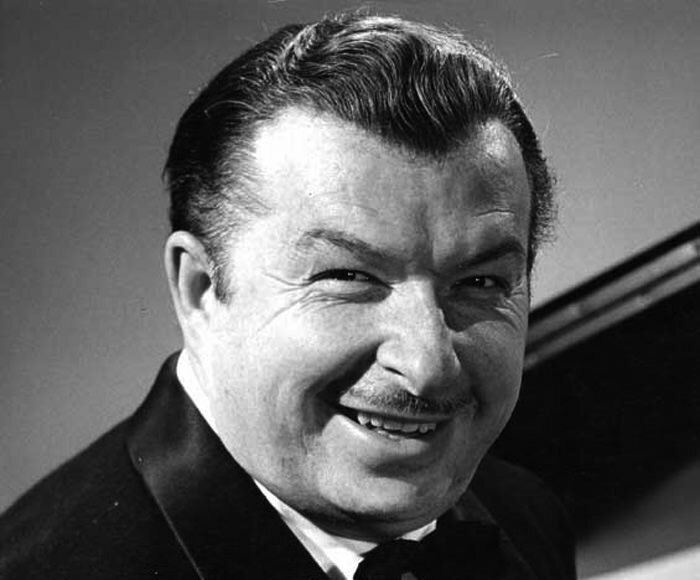 Later known to the world as Xavier Cugat, the boy who was born just two years after the Spanish would move to Havana with his family when he was four years old. Little Cugie was a violin prodigy. With classical training, he played with the Orchestra of the Teatro Nacional, but in 1915 the family moved again, this time to New York City, the apparent center of the world. Sources differ, but it seems as though the move north was inspired by opera singer Enrico Caruso, and the young violin player appeared onstage with Caruso several times, often soloing. In 1918, Cugat moved to California where he met his first wife, pianist Rita Montaner. The couple performed as a classical duo throughout Europe after the First World War before divorcing in 1920. Returning to California, Cugat abandoned classical music, and began play popular tunes as a tango craze developed. After working with other bands for a while, including those of Vincent Lopez and Phil Harris, he formed his own outfit to work in sound movies. Cugat is credited with popularizing Latin American rhythms in the US big band scene. In 1931, Cugat took his band to New York for the opening of the Waldorf Astoria Hotel, where he eventually replaced Jack Denny as the resident band. He never seemed to regret abandoning classical music, stating "I would rather play Chiquita Banana and have my swimming pool than play Bach and starve." 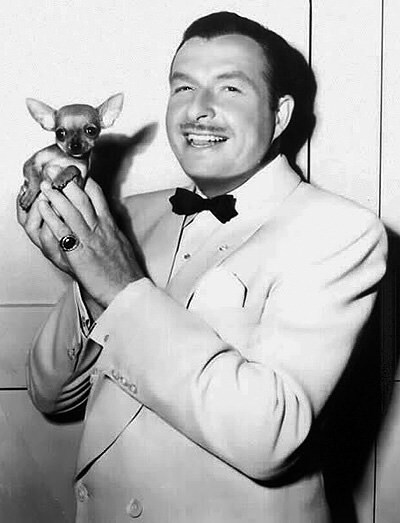 Onstage, Cugat characteristically carried a chihuahua dog while conducting the band. Off stage, he was a constant business promoter. Although he did not smoke, he was often seen in publicity photos with a chihuahua and a pipe. He lent his name to a line of women's tobacco pipes as well as cigarette lighters and shirts. He started a chihuahua breeding operation, and the dogs came with certification as being genuine Cugat dogs. He was also a man who loved woman, having married five of them. After Montaner, there was Carmen Castillo, Lorraine Allen, Abbe Lane, and "Latin Bombshell" Charo. People magazine published a story in July, 1980, about Cugat's May-December romance with 24 year old dancer Yvonne Martinez Cugat was 80 at the time. Two Stars on the Hollywood Walk of Fame honor Xavier Cugat, one at 1500 St Vine for his contributions to Television and one at 1601 Vine St for recording. There is a replica of the Star for Recording in Giron, Spain, the city of his birth. See also: Tales of Mexico, Fernando Lamas, Lupe Velez, Carmen Miranda, and Tito Guizar. Love listening to the smooth sounds of Xavier Cugat, good variety of tunes, and I just love listening to them.